Today's challenge was a triple play - we could only use 3 layers, 3 colors, and 3 embellishments. It was fun, but the layer thing was definitely a challenge! I wanted to sneak at least one more in there, but I restrained myself. My three colors are rose red, pumpkin pie, and basic black. My three embellishements are black brads, a page pebble (I put the dots on it with my black copic), and ribbon. I punched out three scallops and then made them more flower-like by cutting in between each scallop. It's my new fave thing! The middle flower is popped up on a dimensional. Thanks for stopping by, don't forget to check out the rest of the team's samples! oooo, becky, you know I love this one! those colors are one of my favorite combos and all those dots-just beautiful! Love the great colors - the spiral punching on the top and your fun flowers! Wow, this is beautiful Becky! I love the bold colors, and the flowers look great! Becky, this color combination is stunning! I'm going to have to try your little trick with the scallop ... I love the look! Super cute Becky - such a cute layout and color combination. So cute Becky! 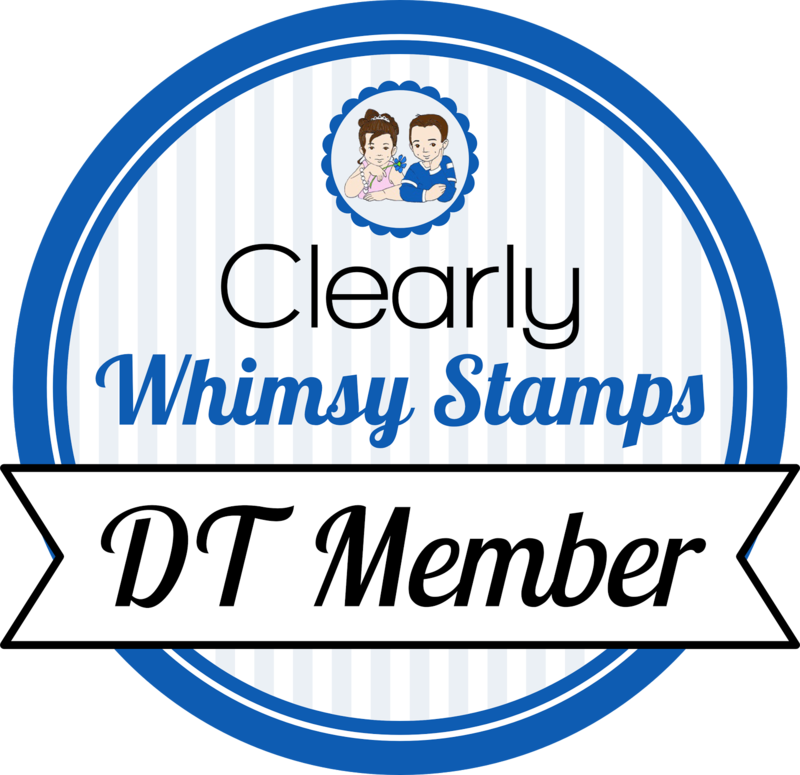 I was supposed to use the Polka Dot BG stamp on my card too but I forgot until I was all done - dang it! Ohh, so pretty, Becky! The flowers with the scallop punch are perfect! I love your take on the challenge. You go,girl! What a striking card, Becky! 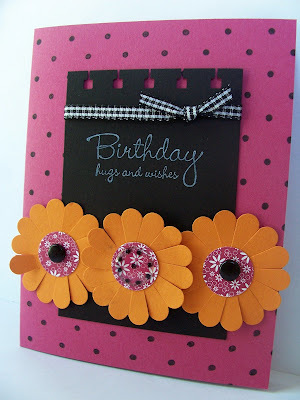 I love the Prints DS paper flower centers - very cute! What great colours Becky! Love them! Great card and thanks for your tip on making the flowers....great idea! Great card love the striking colours. LOVE the color combo, Becky!! You make me want to break out my scallop circle punch!! GREAT card!!! This is gorgeous, Becky! I love how you cut the scallop punches into flowers!